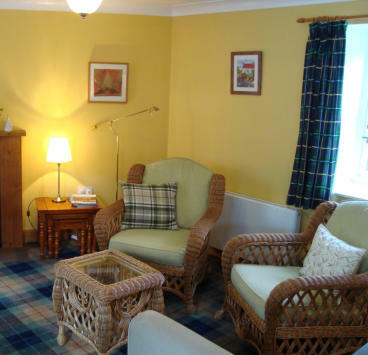 The Bothy at Willowbank is our lovely cosy holiday cottage at the rear of the Guesthouse. A tranquil setting, but nearly in the middle of village life. The Bothy features an open plan living area, a fully equipped kitchen, a spacious bathroom with large shower, washbasin and toilet and a double bedroom. The Bothy is a perfect base to stay and explore the surrounding area. Walks, whisky distilleries and castles are at your doorstep. Just for hibernating, the Bothy is ideal as well. Although you can keep in touch with the outside world, as the cottage has its own WiFi connection. There also is a flat screen television and a BD/DVD player. You can park your car on our private car park at the rear side of the cottage. The Bothy is rented out on a weekly basis, from Saturday to Saturday. For more information please click on the button below to visit the Bothy’s own website.